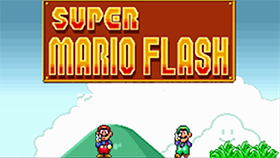 Super Mario Crossover 4 is a Mario game, a flash game which was developed by Exploding Rabbit. 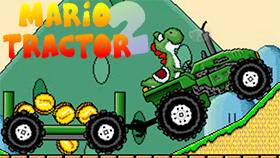 This is part 4 of a very popular series game - super mario crossover. 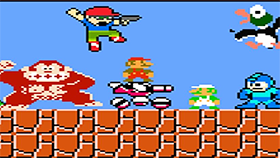 In this game, you are in the world of different NES games and you have to control your character pass all the obstacles and all levels. 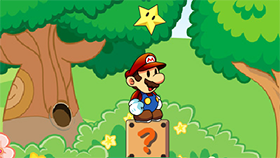 There is no excellent graphics, however, super mario crossover 4 is still loved by many people because of its old characters in their classic style. There are 6 characters for you to choose. They are Mario, Simon, Samus, Link, Megaman, and Bill R; each character has a different special ability. There are total 8 levels which you have to pass to win the game. For each level, you will have to face the different obstacles. Run and jump through all the levels and try not to die are your mission in this game. Like other parts of super Mario crossover, in this game, you will use arrows keys to move and jump. You can play this game in full-screen mode by holding down the CTRL key and scroll the middle mouse button up to zoom in and down to zoom out. To turn off the music, you just have to click on "mute" button on the keyboard. If you are a fan of this classic game – Super Mario crossover 4 and looking for somewhere provide super Mario crossover 4 unblocked, welcome to the best free gaming website – Freegames66.com. 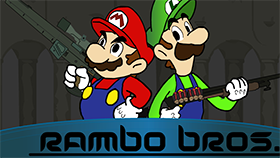 Here, we provide you the full version of super Mario crossover 4 unblocked and just for free. Moreover, we know that there are a lot of schools or offices block all the flash gaming sites and which makes you can’t play your favorite game in the break time. So, all the best games which we provide you are unblocked game. Now, it is the time to start the game. Let’s start and have a great day with us!